I’m concerned. There was high hopes about seeing Josh Allen play with the Buffalo Bills‘ first team offense, but those hopes were dashed quickly. Here are my takeaways from this week, and I must warn you they are rather negative. First, let’s address the elephant in the room; Allen did not play terribly. Nearly all of the issues that Allen faced were out of his control. The offensive line play was stomach turningly poor. The right side of the line has been a problem for the Bills for the past three seasons at least, yet the same duo (Jordan Mills and John Miller) continue to rack up starts and cause issues. If the play of the whole line, especially the right side, does not improve then the quarterback will continue to face immense pressure in every game. Second, the wide receivers created almost no separation. Allen tried his best to extend plays and use his feet to make plays, but he got no help from anyone on the offense, especially the receivers. With Allen under center, almost every drive was plagued by a drive-killing play that sucked the air out of the offense. Whether it was a holding penalty or a drop (Charles Clay, Kelvin Benjamin), drives were cut short and the Bills were forced to punt far too often. Yes, Allen did underthrow the pass to Clay on a streak that should have been intercepted, but that does not concern me long term. I am now firmly in the “Josh Allen starts Week 1” camp. Third, I want to quickly touch on Nathan Peterman’s performance. To many, his numbers and performance were impressive, but I am still not ready to hand Peterman the keys to the kingdom. There is one play that I cannot get over and I think will be overlooked for the third game in a row. Peterman threw a short hitch to the sideline, and the corner jumped the route and dropped an easy pick-six. He continues to make that throw even though that was the pass Jalen Ramsey intercepted in the playoffs, and the Browns cornerback almost intercepted in the last game. Peterman is a good backup quarterback, but until he stops making the same mistakes I think he should remain on the sidelines. Lastly, Vontae Davis looked and played his age for the first time this preseason. He and Tre’Davious White were exposed often by Andy Dalton and the Benglas’ receiving core, which concerns me deeply. Other than that, not much else worried me on defense, other than the amount of time they could be on the field if the line doesn’t block and the receivers don’t create separation and catch the ball. –Quinn Capitula is a contributing writer for Full Press Coverage who covers the Buffalo Bills. 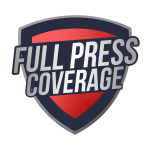 Follow Quinn on Twitter at @QuinnCapitula and @FPC_Bills for Bills coverage.